....The simple process of getting started. "Set up is simple and fast." All we really need from the funeral home to set up each obituary and memorial website is the obituary and arrangements. Most funeral homes email a copy of the funeral notice and then the obituary to the newspapers. Just simply include us as if we were another newspaper. You can also can submit it on our contact us page or send us an email for additional information. (Optional) Notify us by phone text when you send us the info so we can be looking for it, (call us, send us a text message or leave a voice message if no answer). That’s It! We do the rest. Even though it is not a requirement, photos can be added to the site in 5 different ways. 1. The funeral home can scan and email us the photos. 3. Photos can be uploaded on our contact us page. After sending photo, refresh your page to upload another one. 4. With the high quality picture taking of photos on cell phones, it is simple to take a picture of the main picture and text or email it to us. We will edit this photo make it look better. 5. Photos can be added later by the family directly to the site, however we would be happy to put the best one to five photos on the site when we set it up, so long as they are provided to us by email. When needed we can also provide free photo repair, cropping and reconstruction on the main photo. 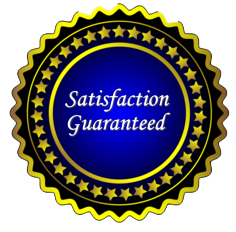 We have found that the printers like our quality of work and are glad to have us help them. Click here to see example before and after photos. All DAY Everyday We Are Working for You! Currently our postings are completed within a few minutes, to 2 hours 90% of the time. At a minimum the Memorial sites and obituary will be published and updated online within 8 hours and much sooner most of the time. This can be faster public notification than newspapers provide. The memorial site is listed and linked to, from the funeral home web site. The memorial websites will stay online for an indefinite time and quite possibly for decades. Got a comment or question? Let us answer them via email.